With all the charm of a working harbour fish and chips shop, Lucky Fish has the added edge of offering delicious seafood at excellent prices. Situated amongst Harbour House and its sister tapas and cocktail venue, Polana, this fast food seafood canteen is worlds away from any other. It's harbour location makes it a perfect stop whilst meandering through Kalk Bay. 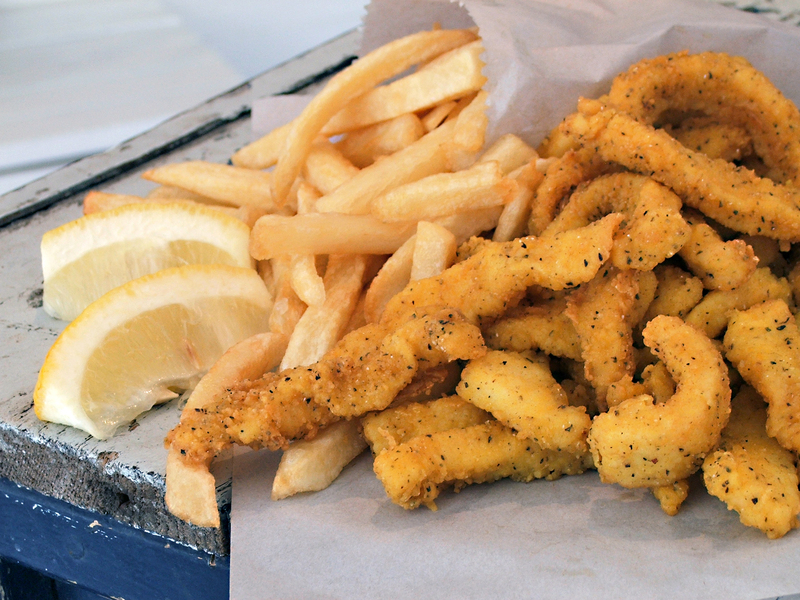 In typical Kalk Bay style, Lucky Fish is just about the only fish shop you'll ever find that also sells freshly baked croissants, ciabatta loaves and fresh green salads to accompany newsprint wrapped crumbed seafood. A range of food is on offer, from crumbed hake, chips and calamari, to freshly prepared soups and mutton rooti's. Not only is the seafood fresh and delicious, but the generous portion sizes offer even more value for money. Patrons can enjoy their meal at the tables inside and outside Lucky Fish, or take a walk along the harbour wall and sit amongst the seagulls and the fisherman. Enjoyed with friends, family or as a fast delicious meal, you'll be glad you tried this fish shop with a difference. Lucky fish is a real treat when you want value for money and quantity!Wow they are not shy!Spectacular calamari and chips! And extremely generous portions and well priced!I prefer Lucky Fish to the Famous Kalkys. 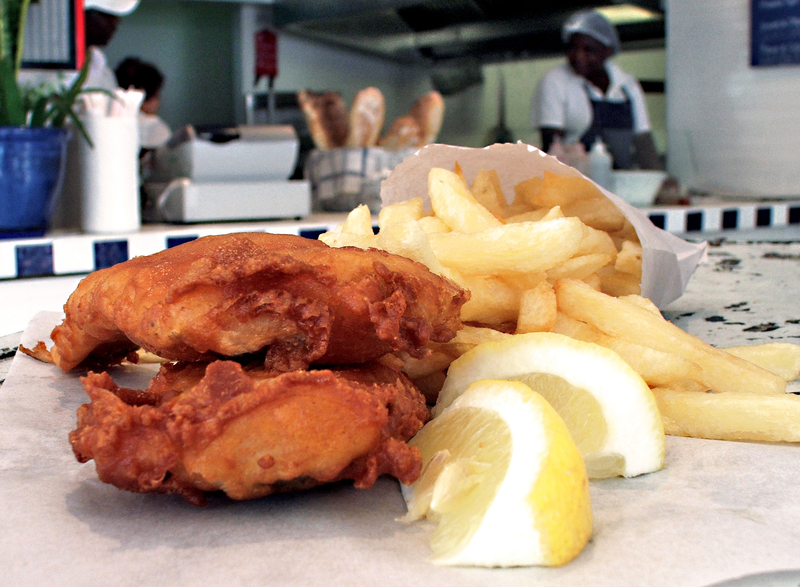 Lucky Fish is 22.8km from the centre of Cape Town , the nearest airport 24.3km (Cape Town International Airport).